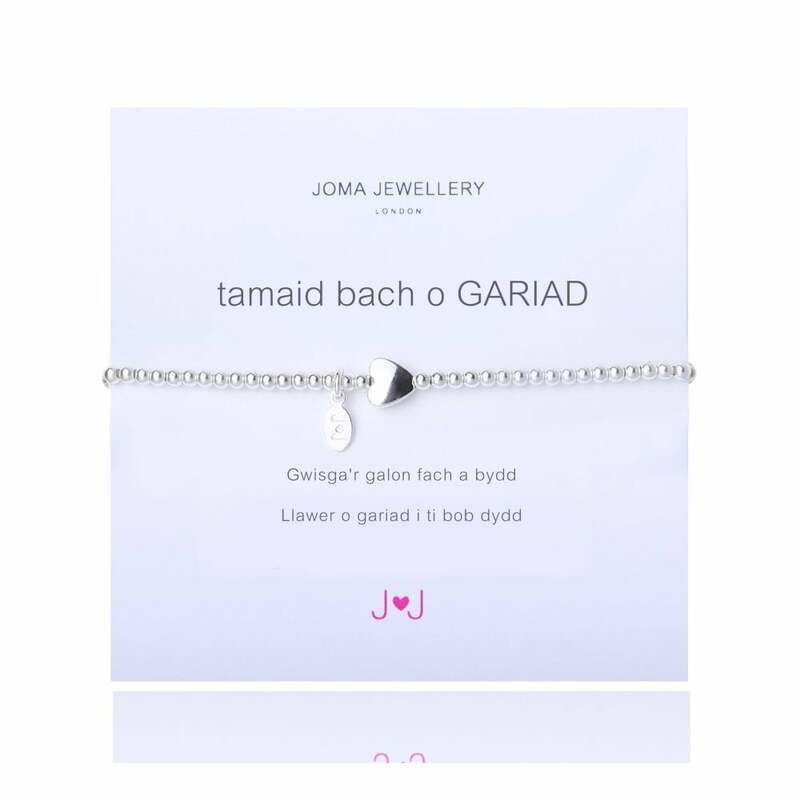 Tamaid Bach O Gariad Silver Bracelet - Joma Jewellery Welsh Bracelet with the sentiment: 'Gwisga'r galon fach a bydd Llawer o gariad i ti bob dydd'. English translation: "Wear this silver heart everyday to bring a little love your way". A stylish welsh gift, a quality silver plated string of beads with a silver heart stung to it, fab on its own or stacked with all your favourite 'a little' welsh bracelets. Beautifully presented on a simple white Joma Jewellery card, this bracelet makes the perfect birthday present! Please keep your item dry at all times and away from perfume and body creams in order to preserve any plating and to ensure your piece lives a long and beautiful life.